The PMD® 2450 utilizes microwave transmission by measuring attenuation and phase shift to analyze moisture content. Originally developed by the founder of InduTech and continuously improved, this is the 4th generation of this instrument, with noticeably increased accuracy up to 0,1%, especially when dealing with thin layers and measuring non-homogenous products. 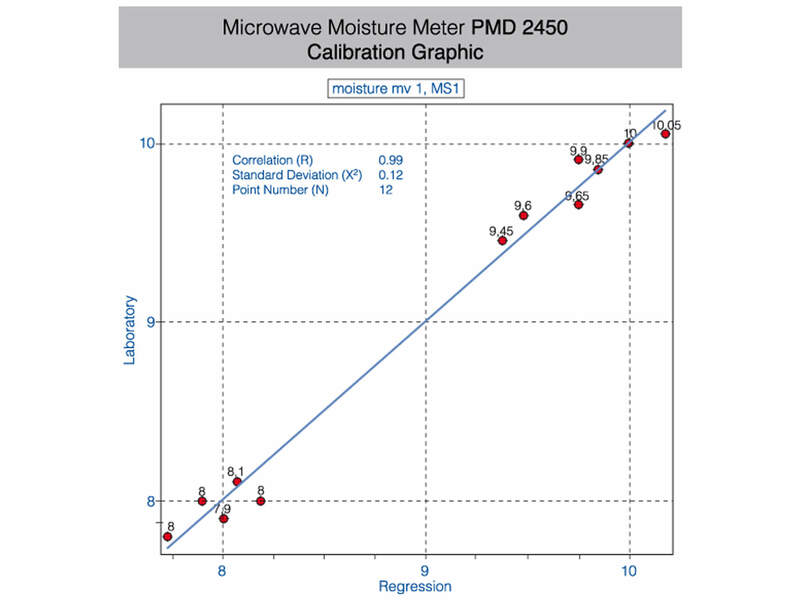 PMD® 2500 is leading in Microwave Transmission Moisture Measurements. It is able to measure low layers down to 10 mm and high layers up to 5000 mm (dependent on the material) with highest reliability and accuracy. With different sensors the PMD® 2500 is used for a wide range of applications at conveyor belts, chutes, dryers, silos, pipes, etc.. to determine moisture, carbon in fly-ash, density, solid content, consistency, pulp, brix, salt content, etc., New sensors, especially designed for the extreme extended frequency range, enable more and more customized applications. ■ The modular set-up allows to install the evaluation unit at an ergonomic place with a distance of up to 400 m away from the measuring point. ■ Protection class IP66 for indoor and outdoor installations. ■ Extremely wide frequency range from 2,4 GHz to 6 GHz. 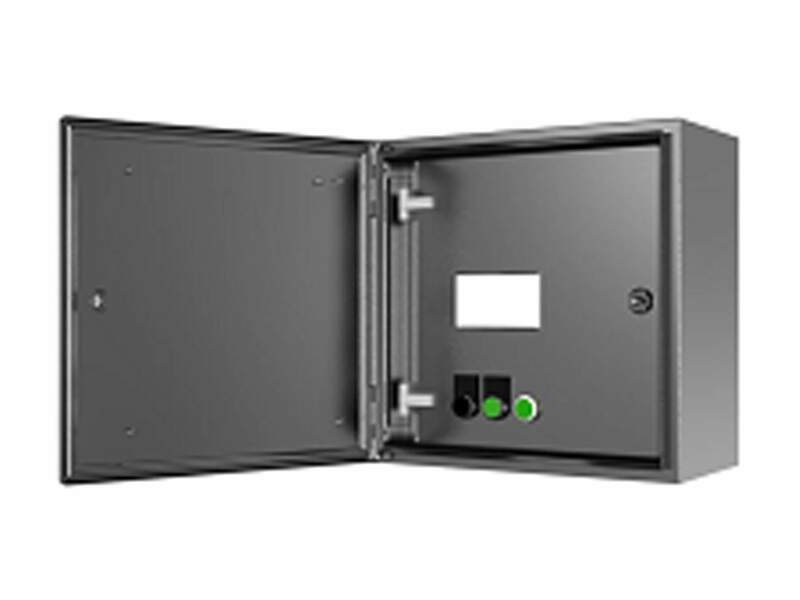 ■ Microwave frontends are specified for a temperature range from -20 to +70 °C. ■ Certified for ATEX zone 22, optionally for zone 21 on request. ■ High measurement accuracy is ideal for closed loop control purposes. ■ Accuracy and long-term stability are significantly better compared to standard microwave moisture meters. ■ Meets all necessary regulations for Europe, USA and Canada according to CE, ETSI, FCC and RSS. ■ Small samples with a size down to 100 mm. ■ Thin material layers, e.g. gypsum boards. ■ Extremely thick layers, for e.g. silo outlets with a width of up to 2 m.
■ Liquids in tanks and pipes. The PMD® 2450 covers the experience gained over 4 generations of the instruments, based on the microwave transmission and the phase method, which was developed by the founder of the company. The original method was remarkably improved by Indutech. This gains large advantages compared to earlier generations of the instrument, in a noticeably increased accuracy, especially for thin layers, inhomogeneous products and concentration measurements. Microwave-Transmission measurement; the measured material is transmitted with microwaves. Moisture of non- and low- conductive materials. 40 mm – 500 mm for standard material. up to 100 mm, ideal < 20 mm. Microwave evaluation unit must be installed as close as possible to the microwave antennas. version for zone 22 is available. per modem or internet connection is available. This saves time and money. coal, minerals, iron ore, magnesite, copper, e.g. wood chips, pulp, wood boards, gypsum boards, e.g. steel, cement, building, mining, coal power station, paper, chemical, recycling, wood, food. Evaluation unit can be installed outside the ATEX zone. 10 mm – 5000 mm dependent on the material. Microwave evaluation unit can be installed in a distance of up to 400 m from the microwave antennas. Certified for ATEX Zone 22, Category 3D for non-conductive dust. Higher ATEX approval on request. Ideal for thin material, like wood boards, Gypsum boards, e.g. The new PMD® 2500 Precision Microwave Moisturemeter was developed within this EU Research Project. The aim was, to achieve resource efficiency by real time online analyzing the excavated material directly on the TBM Tunnel Boring Machine for separating useable minerals as resource. We developed within this Research Project the new PMD® 2500 to measure moisture at a bypass belt with a material layer of 20 mm only. The extremely high accuracy and long term stability of the PMD® 2500 guaranties high reliable moisture readings.